Planning is one of the most important and crucial parts of planning a project or for that matter any crucial activity. This is where the role of mind mapping becomes imperative. Mind mapping is the process that enables you to lay down the plan, do some brain storming and finally allows you to pursue your goals. All this can be possible with the help of the brilliant mind mapping software. 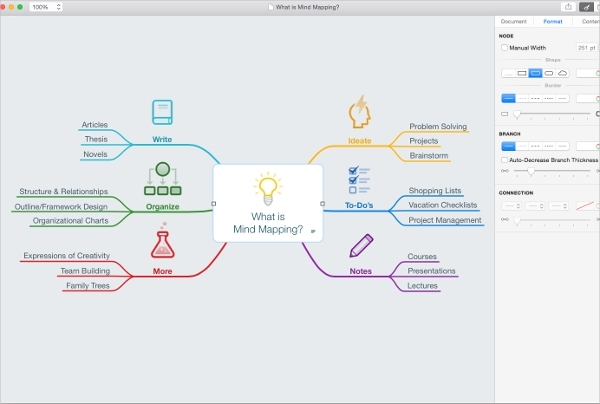 Here is the list of top 7 highly efficient mind mapping softwares you need to look at right now and download the best for the best mind mapping results. In case that you are looking for a little more than just mind mapping assistance, Mindjet can prove to be just the right choice for you. It is predominantly a complete set of tools and applications that help users to always stay on the top of things, organize, collaborate and plan better. Mindjet has been designed to bring forward a complete set of collaboration suite and project management solutions. The software is compatible with different platforms like- Windows, Mac and iOS. The software and its applications and tools readily collaborate with other services and tools like- box, net and Microsoft office. When you are looking for a great mind mapping software that is easy to use and comes with an user friendly interface, but do not want to blow up your pocket on getting your hands on it, what you need is Coggle. 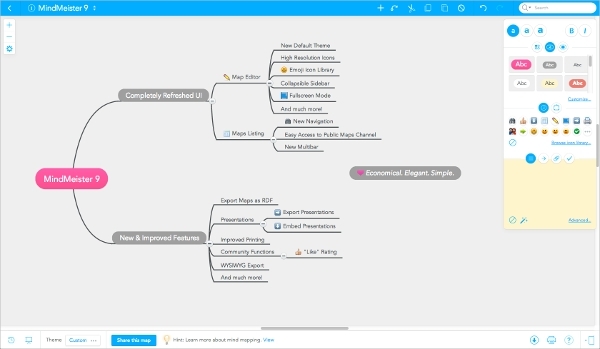 This freeware takes care of all your mind mapping needs without you having to spend a penny. All you need to do to edit an item is to double click on it. The layout comes with plus signs on either size, click on them to add branches and boxes. Once you are done with a mind map, you can always download them on PDF and PNG formats. 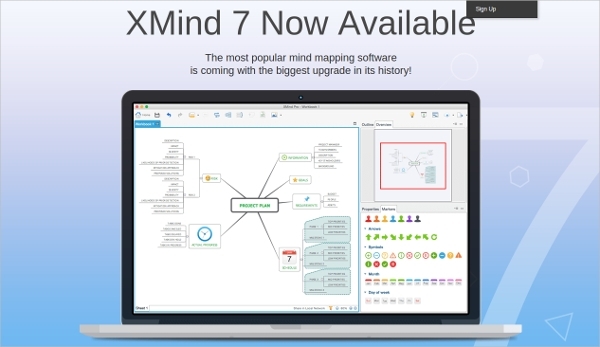 One of the oldest and most tested mind mapping softwares on this list is the XMind. It has maintained its place on the top 7 and has been widely used by experts and professionals. It is compatible with a number of different platforms including- windows, Linux, iOS, Mac, OS, etc. You have the option of choosing between branching mind charts or fishbone like flow charts. XMind is a freeware, for more expansive projects you can choose to settle for XMind Plus and XMind Pro, for a little cost. The Mind Note has been recognised as one of the most detailed and efficient mind mapping software on the net. The iOS versions of Mind Note works brilliantly with mobile and touch devices like phones and tablets and hence are great for mind mapping on the go. The software puts forward powerful performance and features like- embedding screen shots and images on notes, hiding unnecessary branches, create links on the nodes, etc. The Free Mind has a General Public License that has been built in Java. Since the application has been built in java it works on any and every platform, without a problem. It allows users to work with- multiple branches, diagrams, images, links, graphics, notes, etc. It is also used to share the maps with other formats like- HTML, PDF, SVG, PNG, etc. 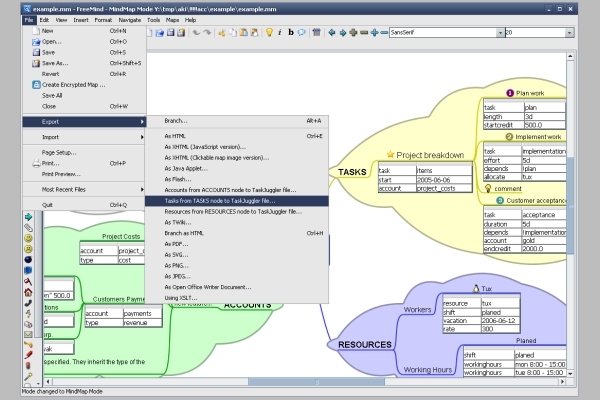 The Mind Manager is a mind mapping tool that is dedicated to providing assistance to large groups for larger projects. Add highlights, hyperlinks and Images to your maps easily with Mind manager. Once done with mapping, you can save the map to any and every iOS and Microsoft office tools. The Mind manager application can be installed on iOS and Android devices as well. 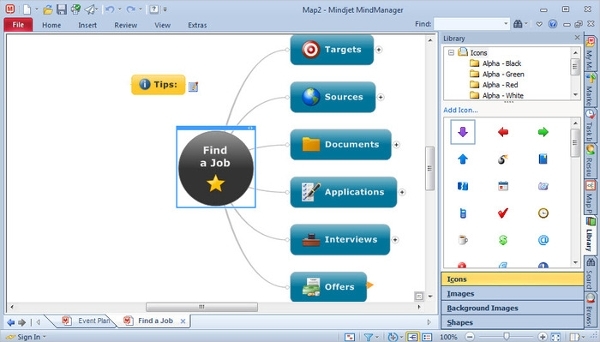 Last but not the least; Mind Meister is considered by a good number of people, to be the best mind mapping software out there. It has a feature rich yet easy to use interface. Can be installed on iOS and Android devices. 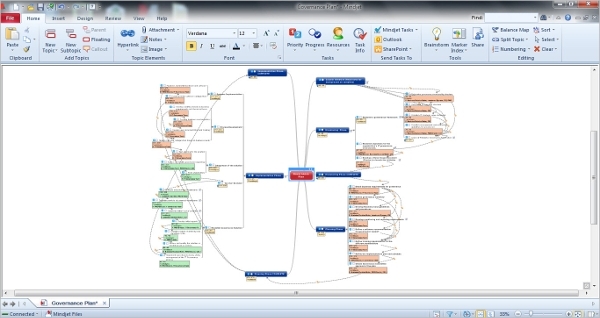 There is no way you will find mind mapping softwares better than these. These are as good as they can get and are sure to fetch you the planning goals you set for yourself and your team.